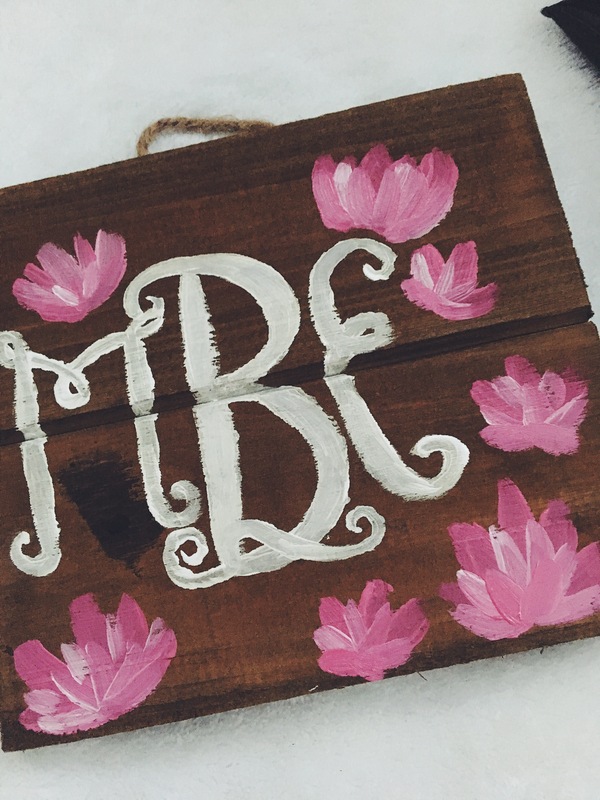 So I was making my youngest sister a little monogrammed wooden hanger and I couldn’t resist to share it with y’all! I’m still working on lettering with paintbrushes, I find them so different than my Tombow Brush Pens, but I think it turned out pretty cute! 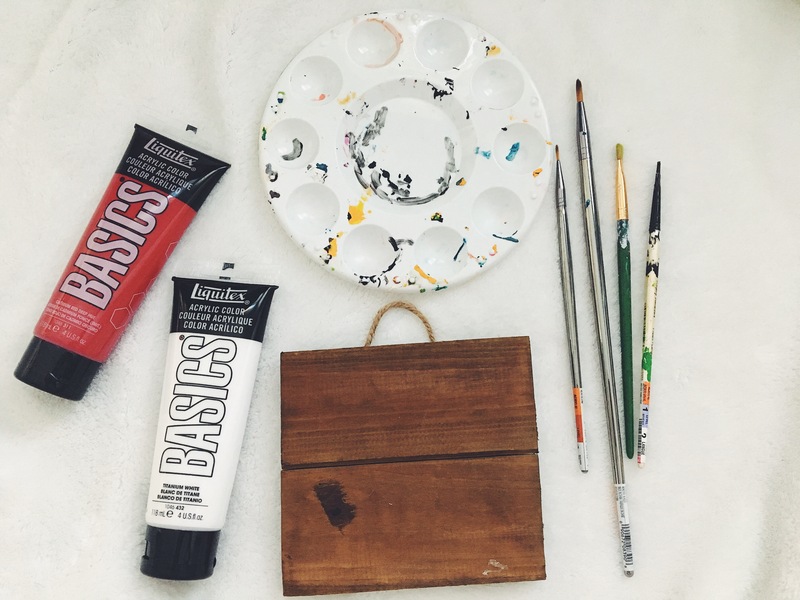 So I started off with setting all of my supplies out and this is what I started with: My palette, a few different sized paint brushes, a little wooden board (I got mine from Michaels), and different colored paint. 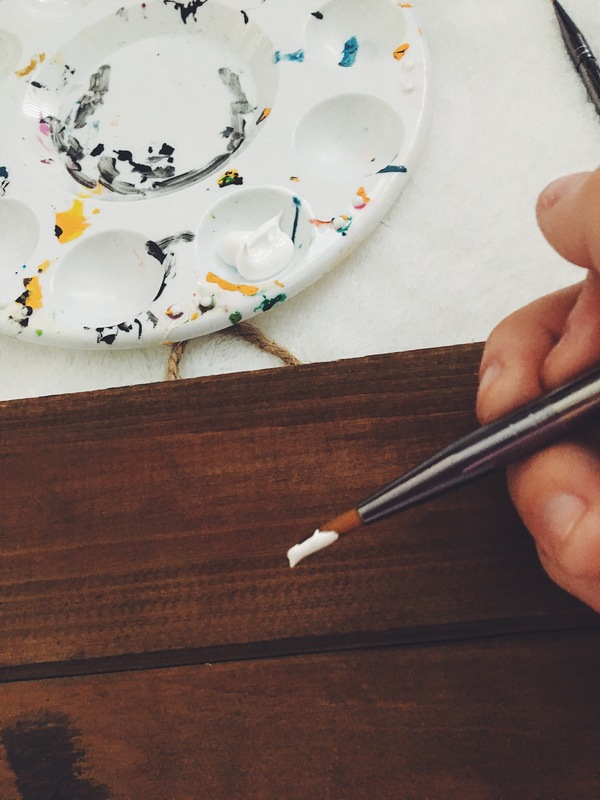 I used acrylic, specifically Liquitex Basics. I use them for art at school so I really enjoy them. 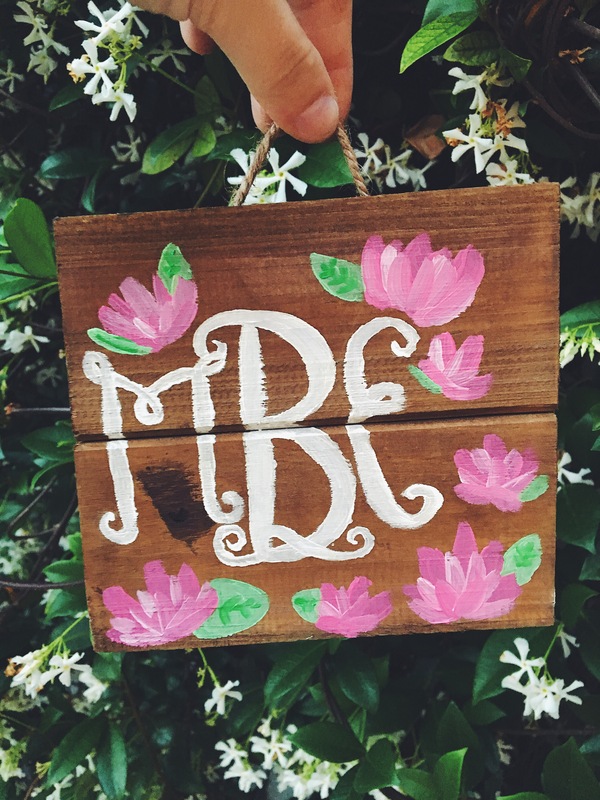 Next, I went on Pinterest and found a picture of monogram letters. 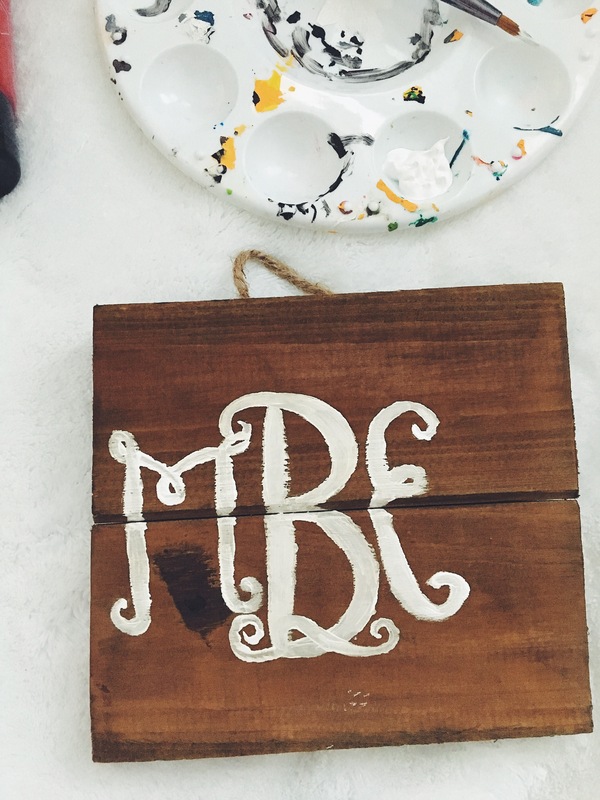 I used the one above and I think according to the bottom corner that it is from Monogramix! I found this one really helpful because it shows the letters in all three sections. But next I just picked out my sister’s initials and looked at them in each position. So next I took the white paint and painted on the letters. 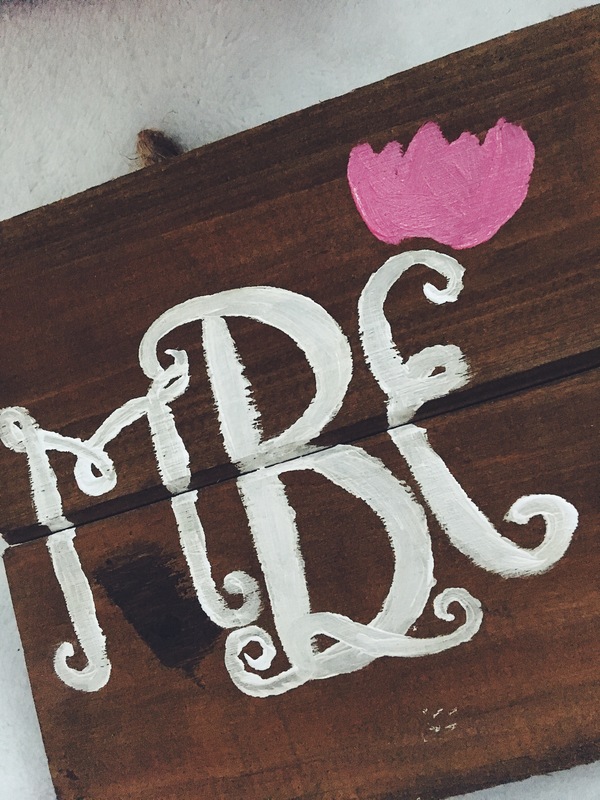 This is my first attempt at lettering a monogram with a paint brush but I thought it turned out pretty well for my first attempt. 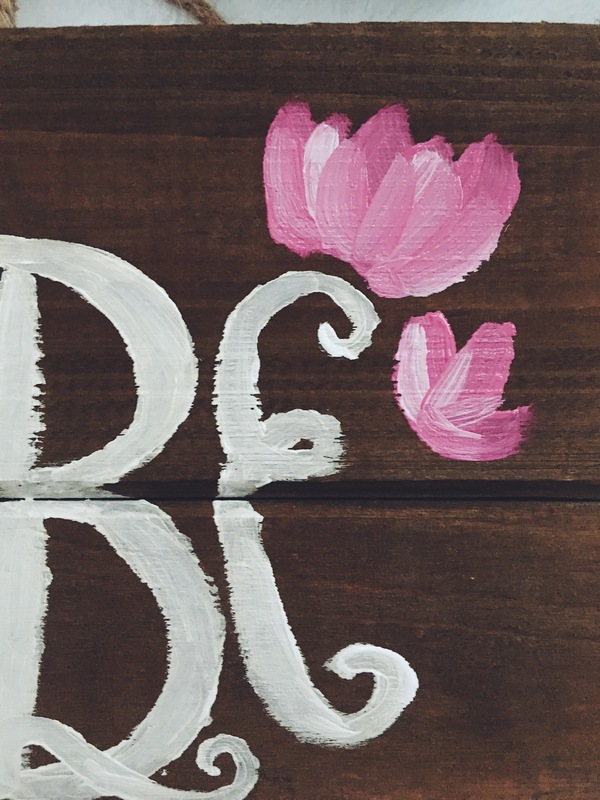 I recommend painting the middle letter (the last name initial) first and then putting the left (first name initial) and the right (middle name initial) last. 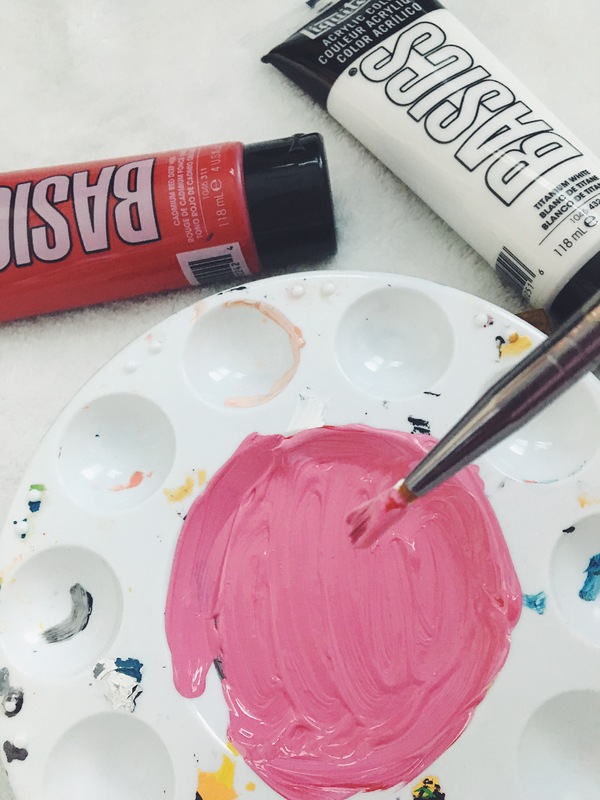 Next I mixed my pink by taking white and a little bit of red and mixing them together. 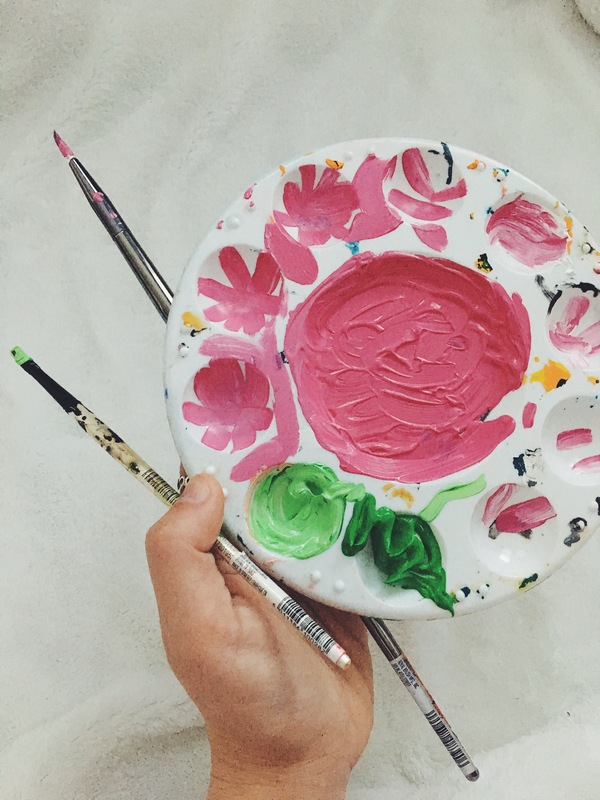 I took my brush and just made some petals with a few brush strokes to make the base coat of the flowers. Next I took the pink paint and dipped my brush into the white. 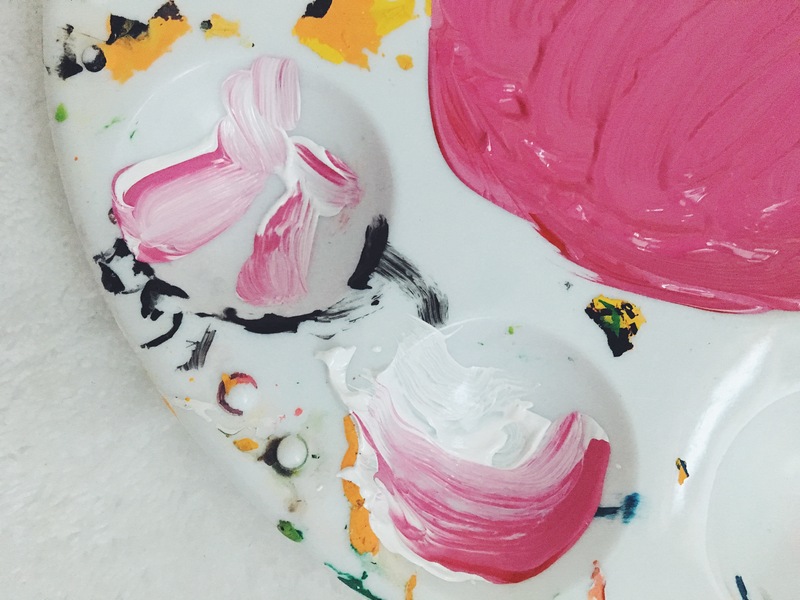 I brushed a few strokes on the palette and then made some small strokes on the pink petals I had just made. It added some depth to the petals and I think they look super cute! This is how the petals looked after I brushed on a little white! Finally, I took some a lot of white and a little green to make the color for the leaves. I just took one of my smaller brushes and brushed on some small leaves with the color I made. After that, I took my smallest brush and added a little bit of the original green color to add some lines to the leaves. Here is the final product! I really like how it turned out but I definitely need to work on my lettering with a paint brush a little more! I love the pink and green combo because it reminds me of Lilly Pulitzer! I hope y’all enjoyed this DIY! Also, since today is Good Friday, here is a Good Friday verse and an early Easter Day Bible Verse! We are so insanely, unbelievably blessed to have a God who would send His only son to die on the cross and take away our sins for us! It is so reassuring to know that. But anyways, I hope y’all have a great Easter Weekend!